The best and most accomplished cross-country skiers may be at greater risk of developing heart arrhythmias, potentially life-threatening problems with the rhythm of a heart beat. A new study published on June 12 in the European Heart Journal showed that out of cross country skiers that completed Sweden's challenging Vasaloppet -- an almost 56-mile grueling course -- those that completed the most races and had the fastest finishing times had a higher chance of developing atrial fibrillation (abnormally fast heart beat) or bradyarrhythmias (abnormally slow heartbeat). The study did not find a direct causal link between skiing and heart problems, however. "These findings suggest there is a dose-response relationship: the more races skiers complete and the faster they go, the greater their risk of subsequently developing arrhythmia," author Dr. Kasper Andersen, a cardiologist at Uppsala University Hospital, said in a press release. "However, it is important to stress that this study does not show that the exercise causes arrhythmias, only that it is associated with an increased risk." Previous studies have looked at the effects of endurance exercise on ischemic heart disease and stroke, but not that many have looked at the impact of vigorous physical activities on heart rhythm, the authors noted. The researchers found 52,755 cross-country skiers who completed the Vasaloppet between 1989 to 1998 and tracked them through 2005. The Vasaloppet participants all pursued more physical activity during their leisure time than the general population, according to the researchers. They also smoked less, had lower fat, higher fiber consumption and had better mental and physical health. They also had about half the mortality rate -- odds of an early death --compared to the general population at the same age. During the study, 919 participants (1.74 percent) had some kind of heart rhythm problems. The most frequent arrhythmia was atrial fibrillation (681 skiers). The subjects were ranked according to finishing time and the amount of races they completed, and divided into four groups. The fastest group was 2.4 times faster than the slowest group. 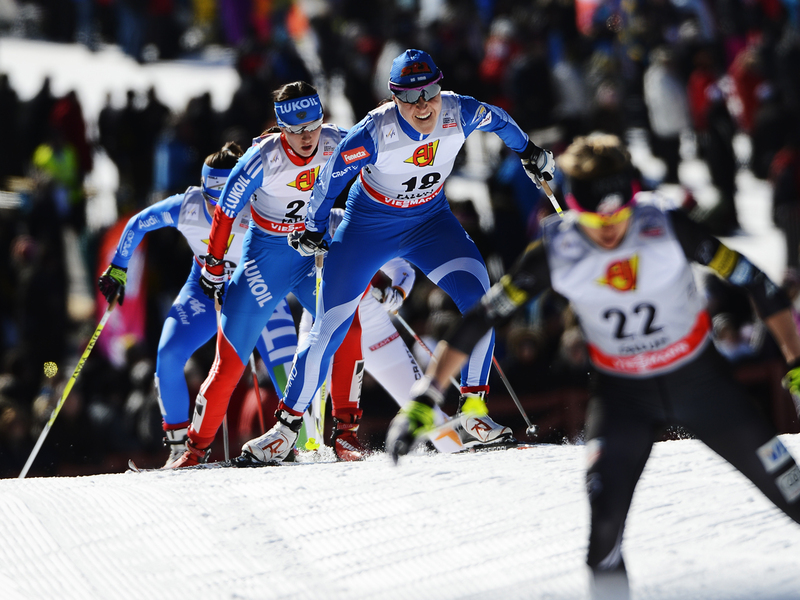 Skiers who had completed the Vasaloppet five or more times were in the highest group, with the lowest group only having completed the course once. After adjusting for age, education and occupational status, the researchers found that there was a 30 percent increased risk for arrhythmia in the group with the best times and most races, compared to those in the bottom quartile. The difference in risk between each group increased 10 percent as the number of races and finishing times decreased. There was also a 29 percent increase of having atrial fibrillation for skiers who completed five or more races compared to those who just completed one. Those who had the fastest finishing times were 20 percent more likely to have atrial fibrillation than those who were in the slowest group. When it came to bradyarrhythmia, risk went up 110 percent in those who completed five or more races compared to first-timers. Finishing time alone was not considered a statistically significant factor in heart risks. Andersen told the The Local that he expected the same heart problems to be seen in other endurance athletes like marathon and triathlon competitors. However, he emphasized that this should not stop people from trying the Vasaloppet, especially because exercise can protect the heart from cardiovascular diseases. This emphasis on exercise is especially important for the U.S., where 80 percent of adultsdon't get the recommended amount of physical activity a week. The Centers for Disease Control and Prevention recommend adults get at least 2.5 hours of moderate-intensity aerobic exercise each week or one hour and 15 minutes of vigorous-intensity activity, or a combination of both. Adults should also do muscle-strengthening activities at least twice weekly. "Our findings should not deter people from exercising, especially as we did not find any increased incidence of arrhythmias leading to sudden death," Andersen said. "We have shown previously that Vasaloppet participants are less likely to die during the follow-up period than the general population and that mortality decreases with increasing numbers of races...Therefore, we believe that it is generally safe to prepare for and participate in the Vasaloppet races."